We had the nice people behind 'Mission: Explore' through our office doors this week. Written by the' Geography Collective' the book is a checklist of 102 missions that take you into the city to explore it in unexpected ways. Aimed at younger through to teen readers is just the sort of book we would have loved when we were a kid. 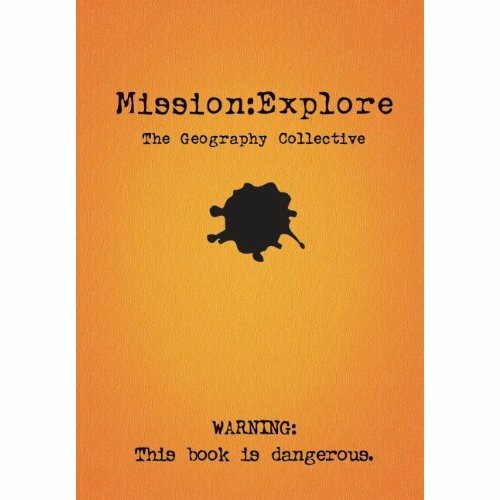 The book encourages readers to become a guerilla explorer and extreme missioner with missions that defy gravity, see the invisible and test your mental agility. Each illustrated mission challenges in daring new ways. Draw, rub, smear, write, scrape and print your findings and achievements as you complete each mission. Take a look at http://www.geographycollective.co.uk/ for more info, the book comes highly recommended and can be found on Amazon for £5.99.